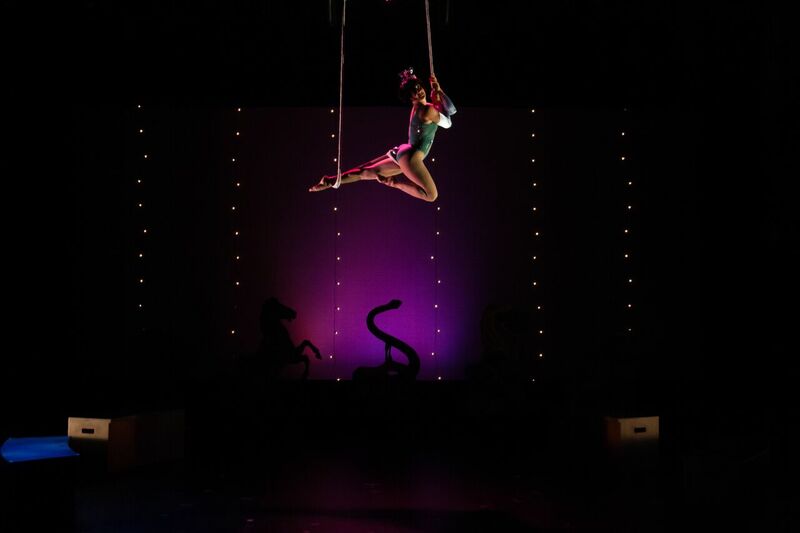 Set in a 1900’s circus, The Awakening of Angel DeLuna is the romantic story of a trapeze duo whose lives take a turn after a tragic fall. Returning again 30 years later disguised as a clown, Ollie must find his way back into Angel’s heart as her carousel world comes crashing down around her. This heartwarming new musical will remind you why the human spirit is undefeatable and love is worth every risk. Magic was in the air. 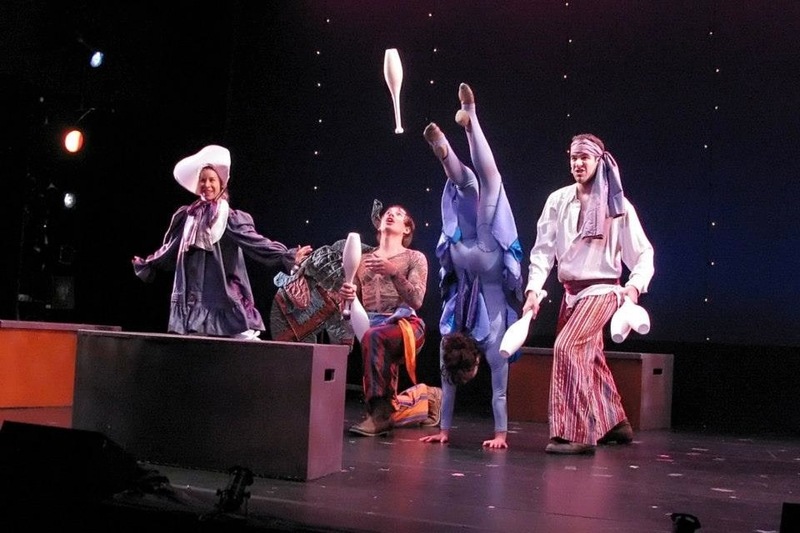 The show had an uplifting message combining hope with the excitement of a circus. The music was so unforgettable that I still can’t get it out of my mind. I found the story both strong and affecting with a simplicity that’s both rare and hard to achieve (which is probably why it’s rare). A sweet and refreshing innocence pervades the whole. And one can almost smell the sawdust. I believe deeply in the necessity of the new musical and this piece really does have great commercial appeal while still holding all the integrity of good art. This is a very worthy endeavor. 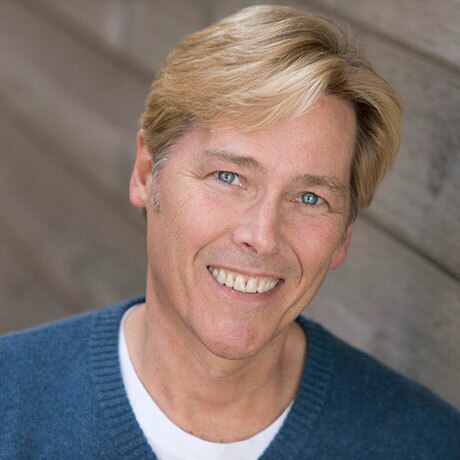 I found Angel DeLuna beautiful, nostalgic and heartwarming - a simple story with a melodic score that draws you in and touches the heart - a piece that resonates in the best traditions of the American Musical. What you have here is a big old fashioned musical that will leave the audience with a song in its heart and a tear in its eye! Congratulations on a bright and very enjoyable production! 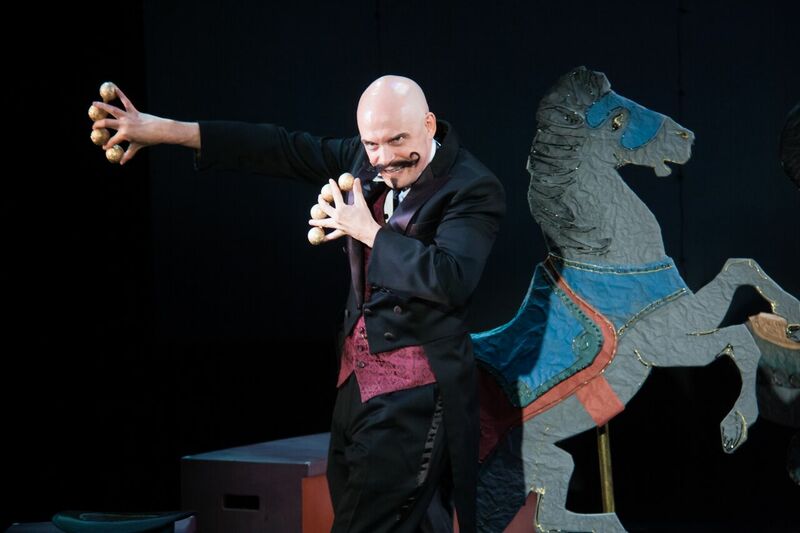 The Awakening of Angel DeLuna opens in The DeLuna Family Circus in 1903, complete with an ensemble of performers, clowns and a legendary aerial act. 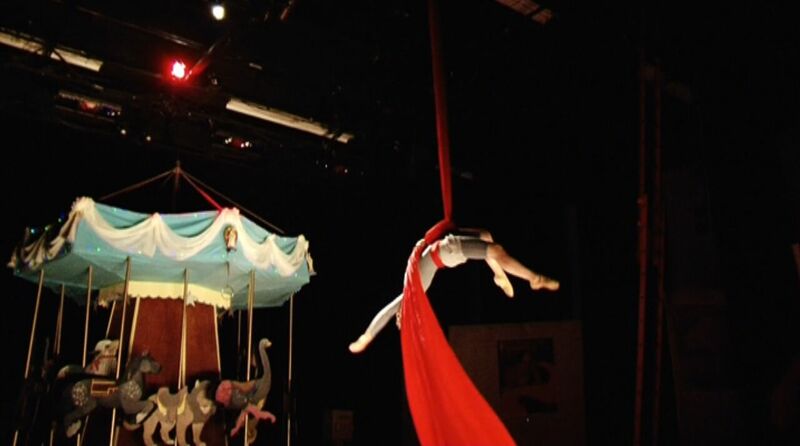 During the attempt at a triple somersault on the trapeze, young Angel DeLuna and her beloved partner Monty’s hands slip, and she falls to the floor in front of a stunned audience. 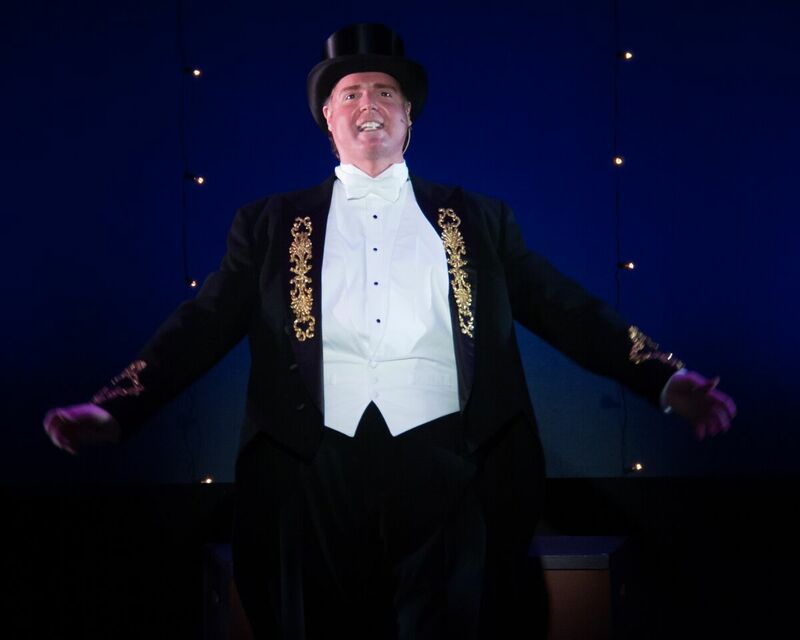 Monty is thrown out of the circus, and told never to return. 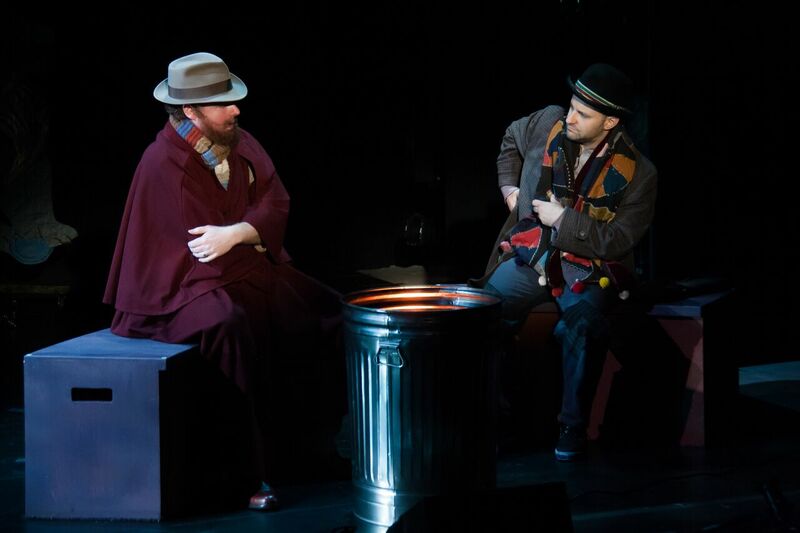 Thirty years later we find Monty warming his hands by a trash can fire in a depression era hobo camp. 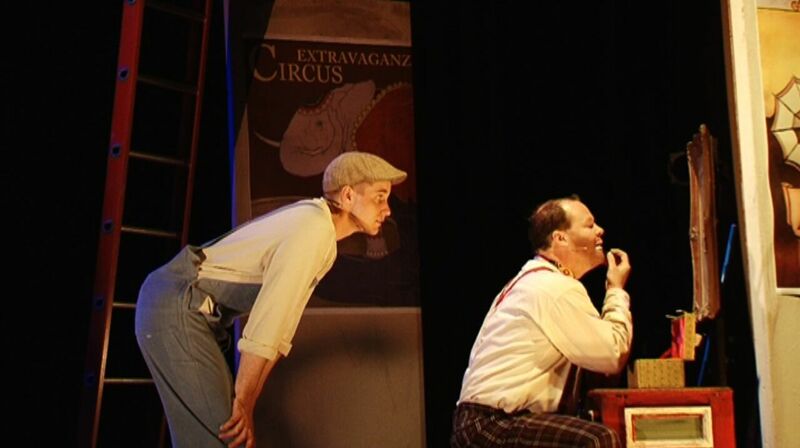 A chance meeting with a Mike, who is en route to the circus for a job, alerts Monty that the DeLuna Circus is now owned by his old nemesis Deuce, the circus magician. 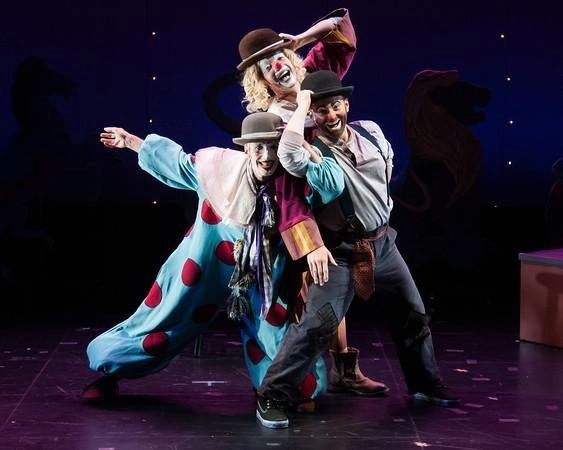 Monty recalls that tragic day, wondering what has become of Angel DeLuna and decides to return to the circus disguised as a hobo clown, to see if he can rekindle their love. Monty is warned by Angel’s nephew Fred never to mention Angel’s accident or her ex-partner, Monty. He adopts the name Ollie Blatsky and takes a job as a hobo clown. Ollie discovers that for thirty years Angel has run the DeLuna family’s Center of the Universe carousel, confiding in the brass angels stationed on the roof above, while tending to the carousel animals below. He learns that time spent in a coma after her fall, altered Angel; she now talks to angels as though they are real and has her own view of her tragic fall and Monty’s departure. Without her knowledge, Deuce has plotted to sell off Angel’s carousel and	kick her out onto the streets of the Great Depression on her contract’s expiration date – her upcoming birthday. Having recognized Ollie as Monticello in disguise, Deuce demands that he keep Angel from intervening at the carousel or Deuce will unmask him to everyone. Thinking quickly, Ollie convinces Angel that the carousel is just being taken apart for a deep cleaning. Angel overhears that there’s a ‘big surprise’ for her birthday. 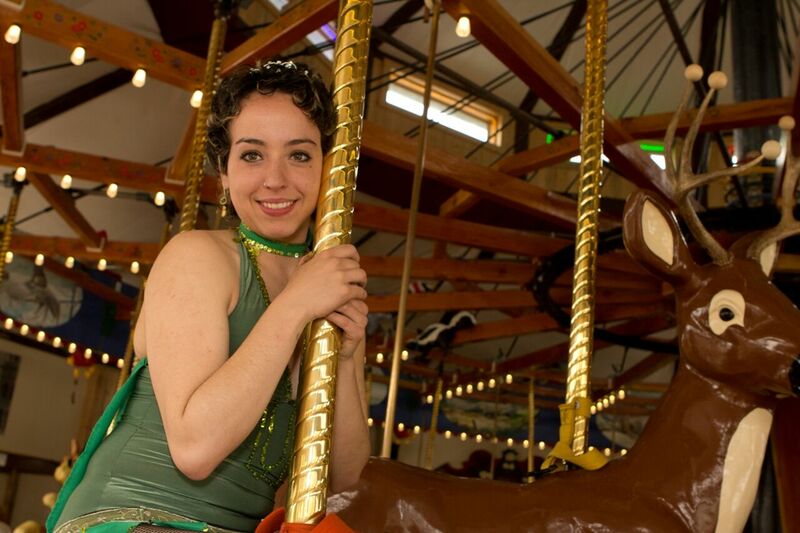 She stays up all night decorating the carousel, falling asleep on the park bench. A flashlight awakens her. In a sleepy exchange, she mistakes Mike – (who’s shown up to dismantle the carousel) for the Archangel Michael, believing he’s there to send her flying back into the arms of her Monty once more. She is convinced that a miracle will soon occur, and awaits a sign from her angels. Working alone, Freddy discovers golden hearts hidden inside each of the carousel animals, placed there years ago by the carousel’s creator. Deuce finds out about the secret treasure and bribes Freddy with a new trailer in exchange for his silence while Deuce steals the hearts away. Freddy brags to Angel that he’s getting a bigger trailer for his work. Angel notes that there aren’t any vacancies, and Freddy realizes that his trailer will come from Angel’s expulsion. Freddy owns up to Mike about the golden hearts. 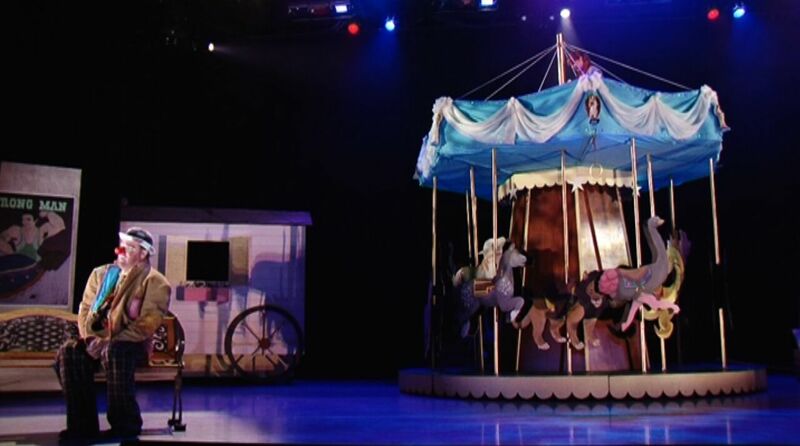 Mike shares the legend of the carousel – and that the hearts would prove it is a priceless masterpiece. Together they plot to get the hearts back from Deuce. 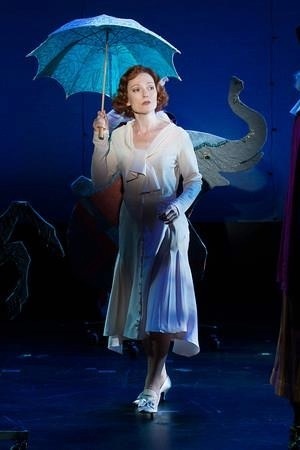 Ollie’s courting of Angel fails to protect her from heartbreak as she watches her carousel slowly disappear. Desperate, he tries to reveal who he really is, but she doesn’t believe him. Angel is still waiting for her miracle. 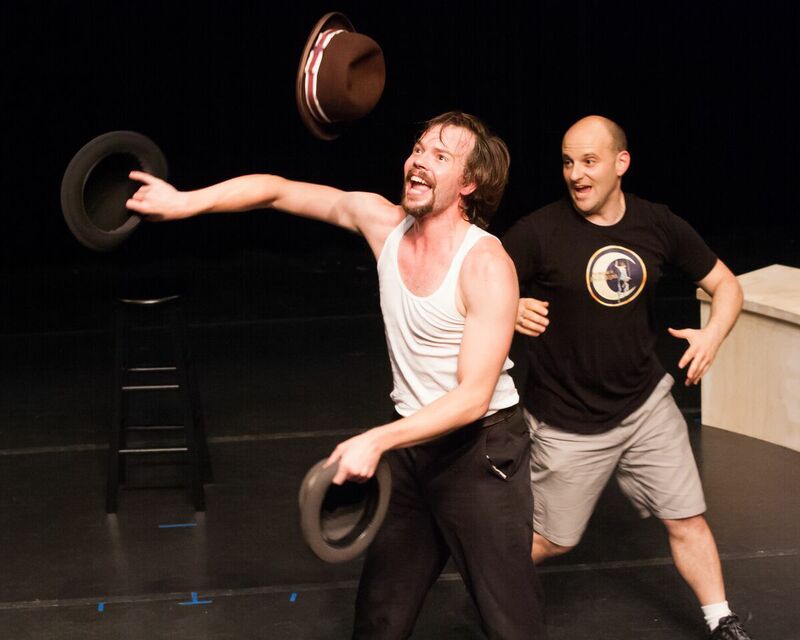 Ultimately Deuce gets his comeuppance and Freddy discovers he was the rightful heir to the circus. 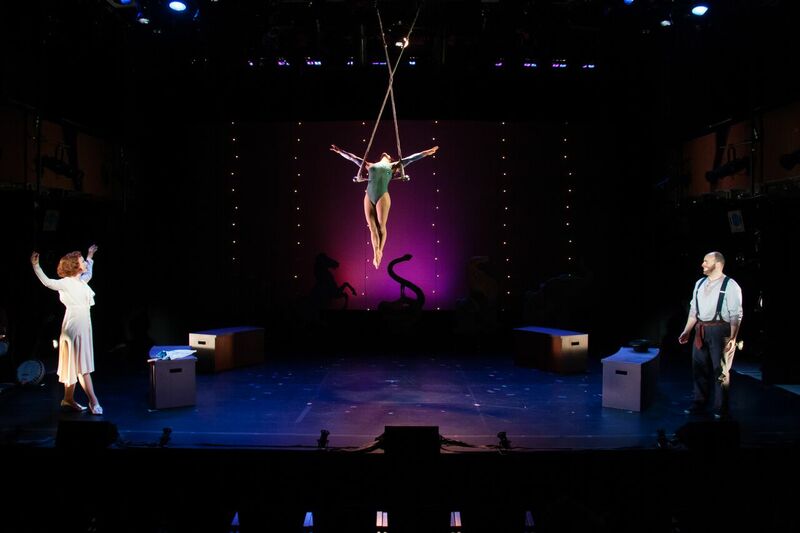 A fateful encounter on the trapeze ladder reunites Angel and Monty, who vow to marry and retire on the shore, and they leave hand in hand, together forever again. After more than a dozen years of development, we have produced a Double CD of all the Songs and Reprises in our show. You can stream them all right here! Musical Directors and Orchestrators will be glad to know that the the entire Piano/ Vocal Score is available in both Sebalius and Finale formats! 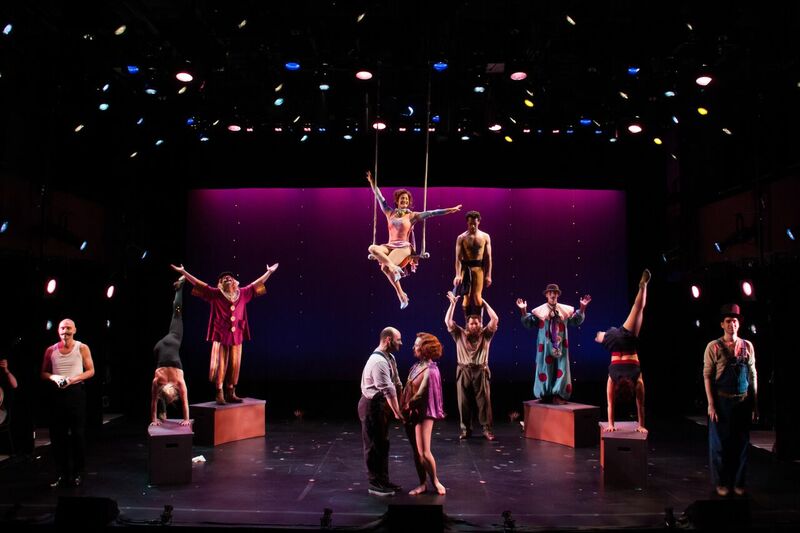 After more than a dozen years of Development, Equity and Non-Equity Readings and Workshops, culminating in an Award Winning Run at The New York Musical Theatre Festival, the creative team of The Awakening of Angel DeLuna is finally ready to find a home at a Major Regional Theatre to prepare us for a Full Broadway Production, leading to Film. We’re ready! We invite you to listen to our Music and see if you might be able to help us along the way! If you are in the industry, or have relationships that might be interested in helping us find our next perfect home, we would be happy to send you the full script and double CD! 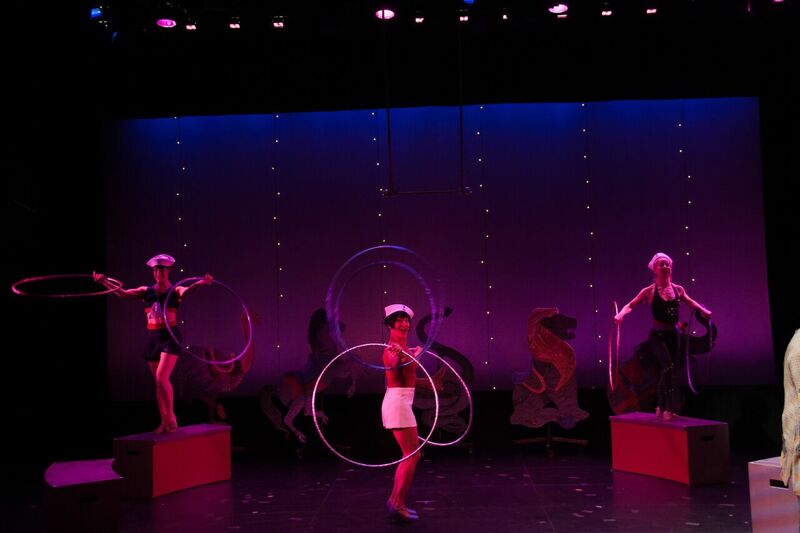 The show brings to life a powerful love story happening inside of the magical world of vintage circus. 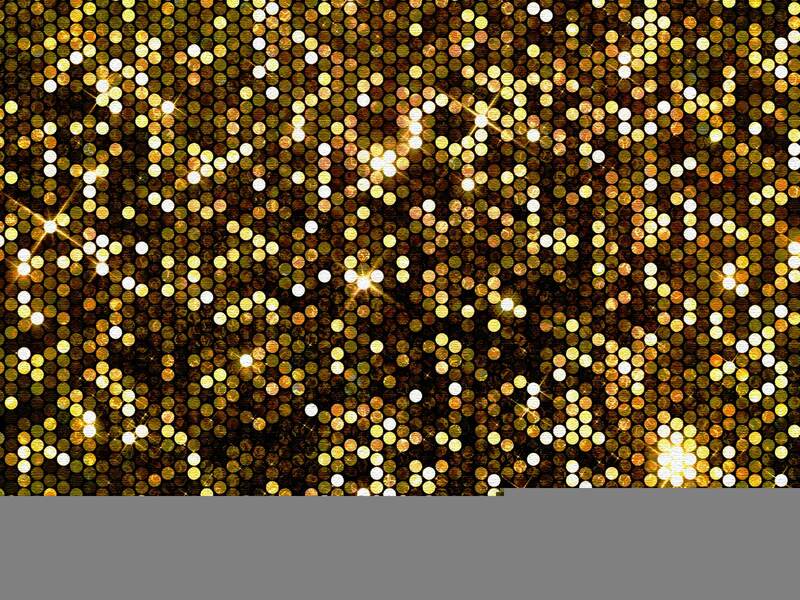 It has everything you dream of when you go see musical theater; gorgeous music, beautiful theatrical spectacle, and a story that will touch your heart. © Judylynn Schmidt & Lee Ellis, All Rights Reserved.